WASHINGTON ― A new RAND report assessing the proliferation of unmanned aerial vehicles suggests existing export controls for drones may hurt the U.S. more than it helps. Limiting U.S. drone exports has left a hole in the global market for the technology, especially in historically U.S.-dominated Middle East markets, which has been readily filled by U.S. competitors — specifically China and Russia. The Trump administration recently unveiled a new set of export policies regarding military technology in an attempt to facilitate the transfer of military technology, but the changes do not change the status of drones under the Missile Technology Control Regime, or MTCR. The MTCR is a voluntary export control consortium of 35 nations designed to prevent signatories from proliferating longer-range cruise and ballistic missile technology. The arms control regime was extended to UAVs because early iterations of drones were considered a subset of cruise missile technology due to their active guidance system. The regime divides missiles into two categories. Category I items are capable of delivering a 500 kg payload more than 300 km. The sale of category I systems is restricted by a “strong presumption of denial,” meaning they are only exported in rare circumstances. 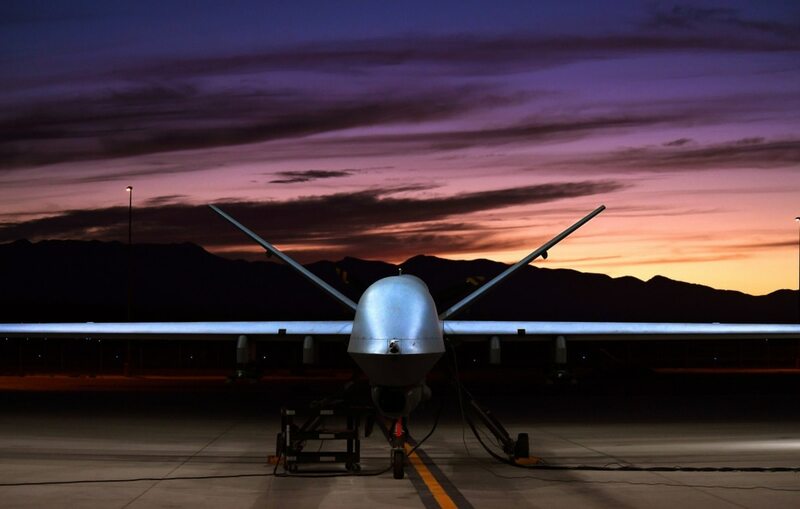 The MQ-9 Reaper, RQ-4 Global Hawk and MQ-4 Triton are well-known unmanned systems that fall under this category. Opposition parties in the German parliament were less excited about the decision. Over the past several years, U.S. partners such as Jordan, Saudi Arabia and UAE were denied requests to purchase American drones, and have since turned to China to purchase comparable systems. Trump administration officials have been attempting to alter the regime by adding new language that would drop any vehicle that flies under 650 kilometers per hour to category II systems. This would make all but the most advanced U.S. systems available for international sale. For example, the MQ-9 Reaper clocks in with a cruise speed of 230 mph or 370 kph, according to an Air Force facts sheet. RAND found that 10 nations operate category I drones, and more than 15 operate near-category I systems that register just below the MTCR’s payload and distance restrictions. The report says increased proliferation rates are due to a handful of countries, specifically China, Israel and the United Arab Emirates, who are not party to the MCTR. The report identifies Russia, China and Iran as unfriendly nations that will seek to utilize drones to complicate U.S. military operations. For example, China and Saudi Arabia recently agreed to set up a UAV manufacturing plant in Saudi Arabia for up to 300 new UAVs, and Italy will receive 20 Hammerhead UAVs from the UAE. The coproduction of regional drone factories “could further exacerbate the proliferation of large UAVs to the degree that these systems are exported to other nations,” according to RAND, and that hurts U.S. industry. RAND expect export controls to have a negative impact on the U.S. industrial base, something those in industry already know.